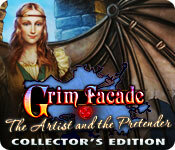 Grim Facade: The Artist and The Pretender Collector's Edition is rated 3.6 out of 5 by 37. Rated 5 out of 5 by watson13 from Hats Off to Leonardo When I played the first game from the Grim Facade Series: Mystery of Venice I enjoyed it very much. Then I bought another game from the series: Hidden Sins and I loved it as well. Then I made up my mind to buy Grim Facade: the Artist and the Pretender and trial played it. Search me if I know why it didn't win my heart. Because right now I am playing the bonus game and enjoying it as much as the game itself. It is not only beautiful, it is educational as well: as we get to know Leonardo's inventions while solving some of the puzzles and see his most famous heritage during the play. The graphics, the colors and HOS are great. I was sorry when I finished it. Rated 5 out of 5 by tutortime from Excellent Game ! This developer does not disappoint. 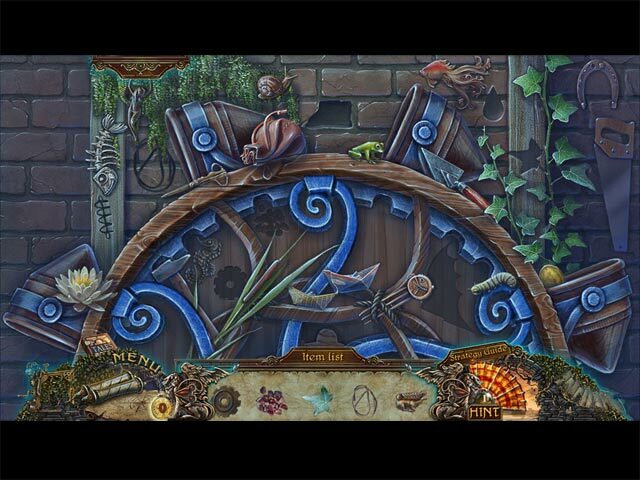 Wonderful graphics and mini games. The CC was well worth the money as the bonus chapter was new locations! What a nice surprise, as most games use their existing locations for the bonus chapter. Rated 5 out of 5 by emerance from Great fun!! HOS are varied and not too often. Lots of different tasks to fulfill and choices to make (there are a couple of times when you will have to decide which way to go in the game - I only went through once, but it does suggest that you can choose a different way the next time). One criticism: Instructions for games weren't very helpful and sometimes it takes quite a few tries to correctly place objects or put things together. Bonus game is a good length and ties together with the original game story. Rated 5 out of 5 by truman99 from ONE OF THE BEST GAMES OF 2014 !!!! BASED ON COMPLETED GAME and BONUS CHAPTER..... WONDERFUL GAME!!!! This is one of the best games I've ever played, and I've played a lot of them! I found it plenty challenging, as I opted for no black bar hints. It was perfect in every way....fun to play, great graphics, good hidden object scenes, MANY locations to explore, a custom setting for difficulty, and words large enough to read without straining the eyes. Also, it is one of the longest games I've played, worth every dollar !!! Thank you so much ERS and Big Fish Games!!! Rated 5 out of 5 by Torpedo1 from Mage gets Leo I at first thought the came started out kind of odd and wondered if I would even like this game. Wow oh wow what a game. Whimsical, adventuresome, magical, and great story line with great flow once it got rolling. Characters were very good, and puzzles fun and on the easy side. Like their HO's and switching around with more then one type. Like the odd helpers. This game goes to the top of my to buy list. Rated 5 out of 5 by Fishpole from Wasn't Sure....But Thought I would Give it a try! After reading some of the reviews I was on the fence with this one as I really don't like 'gimmicky' games. But I DO like this series and thought I would give it at least a try. And BOY am I glad that I did! ERS are the 'Masters' of creativity......hands down! Yes, the game does have a LOT going on but that is what makes it so interesting.....at least to this player. The HO scenes are an interesting mix and the puzzles are fun to do without you wanting to tear your hair out. I love the idea of putting the map together so that you can progress to the next scene. And all the information or misinformation #as the case may be# about Da Vinci just added to the storyline for me. Obviously a lot of thought and work went into the making of this game......the little background sounds of howling dogs and birds chirping right down to the beautiful graphics. I would say that the CE is a MUST, just to have the SG handy for those parts you are not too sure of but as usual it's always a personal choice. For me.....this game will probably go down as one of my all time favorites.....and that's saying a lot! Thank you Developers and BFG for bringing us this one. Rated 5 out of 5 by ty1220 from It worked for me You've read the more in depth reviews, covering the graphics and storyline. I don't play a game looking to find things that I don't like. Usually I either enjoy one, or I uninstall it within 5 or 15 minutes. No, this game is not perfect but I did find it somewhat different and interesting. I had fun with the HO scenes and mini games. As long as Big Fish keeps making games like the Grim Façade, Puppetshow, Maestro and the Shadow Wolf series I will be happy. Rated 5 out of 5 by onefeather from Love the colors graphic's and information on da Vinic Enjoyed this game, it was well done and the graphics are done well as the colors and the buildings. Great game like the others. Rated 5 out of 5 by gfehse from Not a Facade and certainly not Grim I seem to only submit reviews on games that are "worthy". This is one of those. I don't quite understand the low ratings as the game imparts history, whimsy and da Vinci. How could you not enjoy da Vinci? There are some educational facets to this game in that da Vinci's incredible mind is highlighted. Perhaps the lower ratings are due to a lack of appreciation of history? 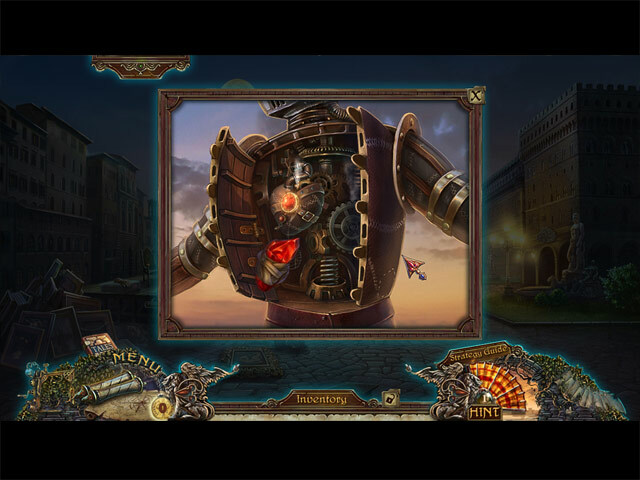 Who knows, as the game is fun and nicely researched with highlights of da Vinci's inventions with a modern twist. 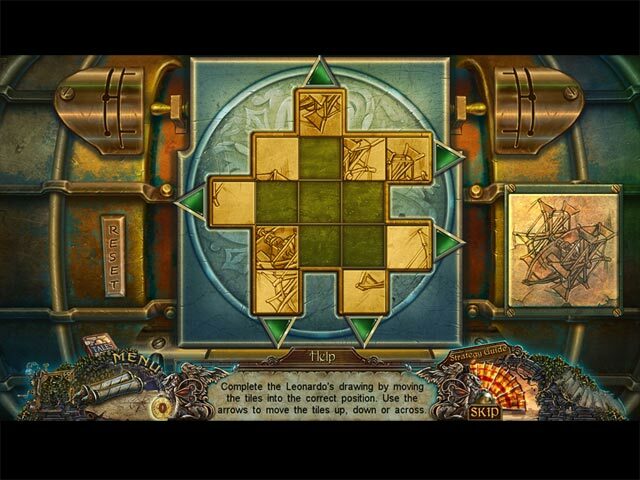 The game has good puzzles, few HOGs, and a nice balance of intrigue. The player has choices in this game, play it and find out for yourself. I enjoyed it.